Your apartments AC unit will not be operative during these hours of inactivity. The Temperzone controller in your apartment will display an error code should you attempt to activate the AC during the abovementioned hours. 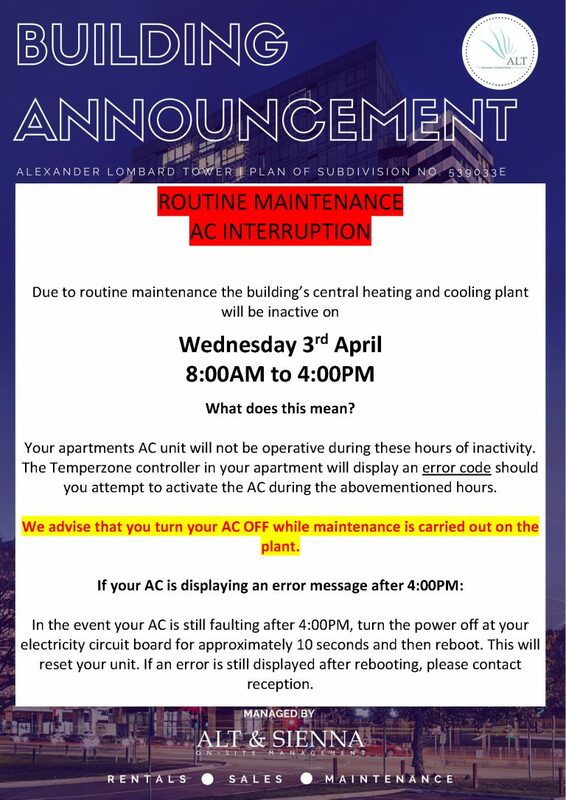 We advise that you turn your AC OFF while maintenance is carried out on the plant. In the event your AC is still faulting after 4:00PM, turn the power off at your electricity circuit board for approximately 10 seconds and then reboot. This will reset your unit. If an error is still displayed after rebooting, please contact reception.